With the NBA regular season concluded, it is time to pick an MVP. Wait what? Don’t we need to see how the Rockets vs. Thunder series plays out? No we don’t. It’s specifically a regular season award. With historic seasons behind both Russell Westbrook and James Harden, there can only be one MVP. Westbrook averaged a triple double, with 31.6 points, 10.4 assists and 10.7 rebounds per game. No, triple doubles are not overrated, especially for someone who is 6’3”. James Harden averaged 29.1 points, 11.2 assists and 8.1 rebounds per game. But Harden was only two rebounds away from a triple double average! But he didn’t have one. Westbrook did. Westbrook also had 3 50-point triple doubles. Harden had 2. Westbrook only shot 42.5% from the field and 34.3% from three whereas Harden shot 44% from the field and 34.7% from three. Both shot the same from the free throw line. Splitting hairs. Irrelevant. Harden shouldn’t get MVP when shooting less than 50%. Really? The Golden State Warriors, with the two best shooters of all time and the best scorer in the NBA, shot 49.5%. The median for field goals was 45.5%. Both Harden and Westbrook fall slightly below that. For those of you who love the PER (Player Efficiency Rating) statistic, Westbrook finished first with a 30.7, while Harden finished fifth with a 27.4. But the Rockets won 55 games and the Thunder only won 47! Well, let’s talk about the supporting cast. After Kevin Durant left and Serge Ibaka was traded from the Thunder, Russell Westbrook decided to be bold and re-sign despite the team’s many young players. On the other hand, James Harden’s team, the Rockets, was short of legit all stars and certainly had no scrubs. Lou Williams (15 PPG, 23 games), Eric Gordon (16.2 PPG), Ryan Anderson (13.6 PPG), Trevor Ariza (11.7 PPG), Clint Capela (12.6) and Patrick Beverly (9.5 PPG) averaged a total of 78.5 points per game. Westbrook’s cast consisting of Victor Oladepo (16 PPG), Steven Adams (11.3 PPG), Enes Kanter (14.3 PPG), Taj Gibson (10.8 PPG), Andre Roberson (6.6 PPG) and Doug McDermott (9 PPG) averaged 68 points per game. So, Westbrook’s supporting cast had an average of 10.5 fewer points per game than Harden’s. That’s a big difference. So, if someone who averaged a triple double, had 2.5 more points and 2.6 more rebounds, and only 0.8 fewer assists, 0.4% less from three, and 1.5% less from the field, and a supporting cast that averaged 10.5 less points per game than that of his rival doesn’t deserve MVP, you lost me. Again, the MVP is strictly a regular season award for the player who performed the best. I don’t even believe Westbrook is a better player than Harden—or Kawhi Leonard for that matter. But the man did average a triple double—something that hasn’t been done since the 70s. You think he will flame out in the playoffs? Fine! Doesn’t matter! The playoffs have zero effect on the outcome of the regular season MVP award. What about Kawhi Leonard? He had a phenomenal season and has improved every season since his rookie year. He has become a superstar on both sides of the floor. The Kawhi Leonard argument is similar to the LeBron James argument— you can’t give the award to the best player every year. That isn’t how voting works. Otherwise, Michael Jordan would have 8, Kobe Bryant would have 7, Lebron James would have 7 and everyone else would have 0. Kawhi Leonard plays on the great Spurs team. While he is not a “system player,” he certainly benefits from the system of coach Pop. He averaged 25.5 points, 5.8 rebounds and 3.5 assists per game on 48.5% shooting from the field and 38% from three. A phenomenal season nonetheless, but not to the level of Russell Westbrook or James Harden. Neither of those two had a player at the level of Lamarcus Aldridge, who averaged 17.3 points and 7.3 rebounds a game on 47.7% shooting from the field. Russell Westbrook deserves to win the NBA regular season MVP award. Regardless of how he performs in the playoffs and regardless of whether you believe he is worse than James Harden and Kawhi Leonard (I actually think Harden and Leonard are better than Westbrook). Westbrook was left hanging by Kevin Durant, and it gave him all the motivation in the world to break Oscar Robertson’s triple double record. And that he did. About Me: I’m Spencer Alexander Zied, a 12th grader from New York, New York. I love to play basketball and tennis, and am a big fan of the Knicks, Giants and the Yankees. I’m also a big fan of First Take and Sportscenter on ESPN. You can email me at spencer.zied@gmail.com or connect with me on Twitter, on Facebook, or on Instagram (szied713). What a wild NBA season it has been. With a four-way race for MVP coming down to the wire, and a multitude of trades, injuries and drama, it has all come down to this. Standing at just 5’9”, Isaiah Thomas took the league by storm last year. For some reason, this season he has been coming off the bench. But it hasn’t hindered his performance in the slightest. While averaging around 16 points and 4 assists a game, he is only playing around 25 minutes for the Celtics, which is extremely odd because he is a rising star in this league. Recently leaving LA to play for the Bulls, Gasol does not regret his decision in the slightest. Averaging 18.5 points and about 12 boards a game, Gasol has really stepped up his game from last season and is contributing much to Chicago’s success despite Jimmy Butler’s breakout year. I can’t see anyone else receiving this award. Anthony Davis has put the entire league on notice and will soon be the best player in the world. He is a candidate for MVP and averages 24 points and 10 boards. He is also accumulating about 3 blocks and 1.5 steals a game, and is only 22-years-old. That’s scary. Hassan who? That would have been the response from NBA fans if you asked that question last year. Going from a bench player on the Kings to a profound center on the Miami Heat and averaging about 12 points a game along with 10 boards and nearly 3 blocks, Whiteside has come out of nowhere and has been very impressive. He has improved the most out of any other NBA player. This one was easy. Although the Wolves are the NBA’s worst team, Wiggins did all he could to propel the team. With a sweet move by the Wolves to trade Kevin Love for this young gun, Wiggins has impressed with his supreme athleticism and speed. He averaged about 17 points a game, but still has room to grow. He is a great young player. Last year, the Hawks was an 8th seed in the East. This year they are a 1 seed, getting to 60 wins with Jeff Teague, Al Horford, Paul Milsap and Kyle Korver. If you ask me, that’s pretty impressive for a coach. This MVP race has been by far the closest it’s been in years. James Harden was spectacular this season. However, I don’t think the Warriors would be the same without Steph Curry running the show. Helping the Warriors achieve 67 wins, he averaged about 24 points, 8 assists and 4 boards; but he also shot 44% from 3-point range which is 4th in the NBA, as well as attempting the most by a long shot in the NBA. He also has the 2nd highest field goal percentage at roughly 59%. Yes, James Harden and Russell Westbrook were fantastic. However, I have to give the nod to Curry, although James Harden could win as well. As for Lebron James, you cannot give it to him just because he impacted his team the most unless you’re willing to give it to him every year, which I am fine with. With the Pelicans clinching their first playoff birth as a franchise, and Anthony Davis having an MVP-type season, Jrue Holiday and Eric Gordon are simply outmatched by the splash bros and the Warriors’ depth. With the best Eastern Conference record, the Hawks need to prove that they’re worthy of the number 1 seed and need to take care of business early. With a coach of the year candidate leading them, they cannot lose to a beaten down Brooklyn. MVP candidate James Harden has led the Rockets, and has had little help all season. Dirk Nowitzki is a former NBA champion with a squad best equipped for the postseason, unlike the poor free throw shooting Rockets (a la Dwight Howard and Josh Smith). With Chandler Parsons on the other side this time, the Rockets will have to guard too many different weapons and James Harden will need to share the ball with his much less talented teammates. This is going to be a great series. The Cavaliers are a far superior team to the Celtics and should easily beat them. The Clippers have had limited playoff success, as the former champion Spurs are the worst matchup ever. Popovich will figure out a way to rise above the 6 seed aspirations and will beat the Clippers by doing so. This will be another series that goes down to the wire. With Derrick Rose returning, this will make the series far more lopsided than it already is. The inexperienced Bucks will not know how to handle Chicago and the win will happen relatively quickly. With Portland losing Wes Mathews, the series will be much more difficult for them. Although Damien Lillard and LaMarcus Aldridge are stars, Memphis’ physicality will wear on the young Blazers. This series will be the worst. Although two exciting backcourts are going head to head, the Raptors are simply a better team and will finish the struggling Wizards. I had the privilege of interviewing Wall Street Journal sports writer Jason Gay. He’s not only a great writer, but he’s very funny. For example, in his recent article, “Last-Minute Gift Shopping for Derek Jeter,” he said, “I’m a terrible procrastinator. Jeter is days away from retirement and I still haven’t bought the dude a gift. Have you?” I was excited when he agreed to respond to 20 questions for my blog, so here goes. Q: The Seattle Seahawks will repeat as Super Bowl champions. A: True. They will win Super Bowl, Stanley Cup, Best Supporting Actor and Employee of the Month at Panera. Q: The New York Knicks will advance past the first round of the playoffs. A: False. They will also lose in first round of the Australian Open. Q: A non-QB will receive NFL MVP this season. A: Rachel Nichols seems to be the leader at moment and she isn’t a quarterback. Q: The Spurs will return to the NBA finals this season. A: Yes but don’t hassle them, they’re 74 and napping. Q: At least one rookie QB from this recent class will make a Pro Bowl. 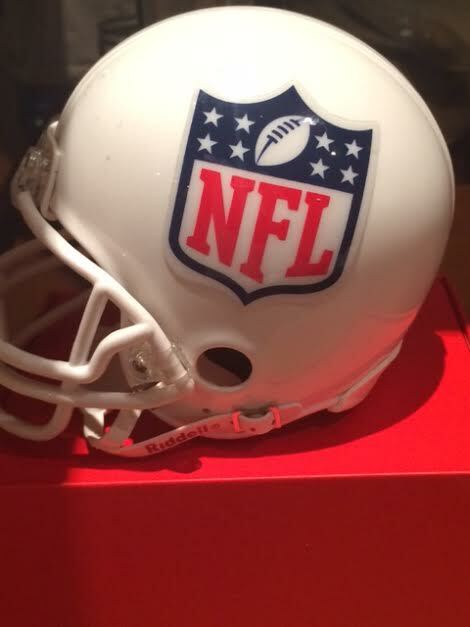 A: The Pro Bowl was discontinued in 1982. Q: Oregon will win the college football playoffs. A: Don’t be insane, there are no playoffs in college football, have you lost your mind? Q: Michael Crabtree is a mediocre wide receiver. A: This question feels left over from a January episode of First Take. Q: Kevin Durant will leave Oklahoma City when he becomes a free agent in 2016. A: I think Kevin Durant will leave Oklahoma City in 2014. Do you just want him to stay in the city limits his entire life? What happens when they play the Mavericks? Q: Who will be remembered in a more positive way? Mariano Rivera or Derek Jeter? Q: Will Lebron James be able to win four or more titles with his new team in Cleveland to tie Michael Jordan with six total rings? A: Who needs six rings? handled? Is the media overreacting, or are we underreacting? Q: How far can Johnny Manziel go in his career? 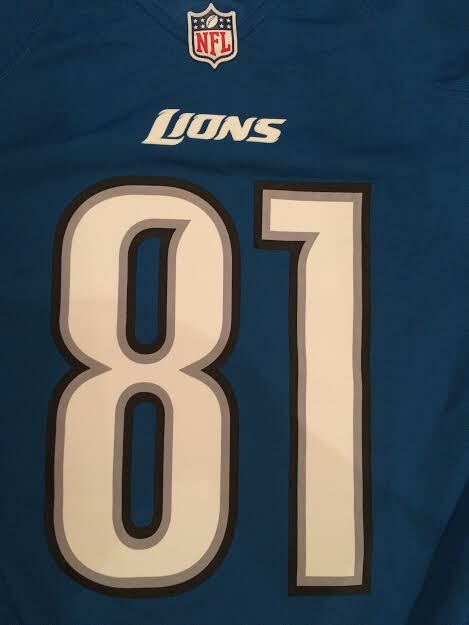 Will he be successful in the NFL? 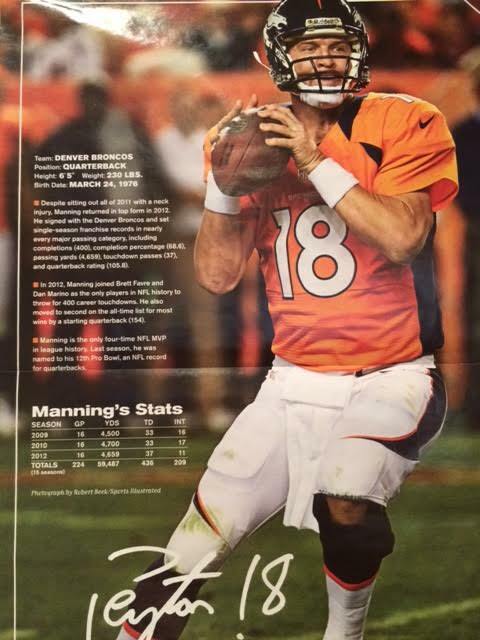 A: He will win somewhere between zero and 20 Super Bowls. Book it. Q: What do you think the NFL should do about the domestic violence rampage? A: Join the 21st century? Q: Who is your pick to win the World Series? Q: When will you get back to watching football? A: Did already, if you consider the Jets football. Q: Favorite time of day to write. Q: Favorite place to write. A: Tie: top of the Empire State Building or back of Larry Ellison’s mega yacht. Q: Favorite article you’ve ever written for the Wall Street Journal. A: Vin Diesel Has a Cold. Q: Hardest thing about writing for a living. What would you ask Jason Gay? 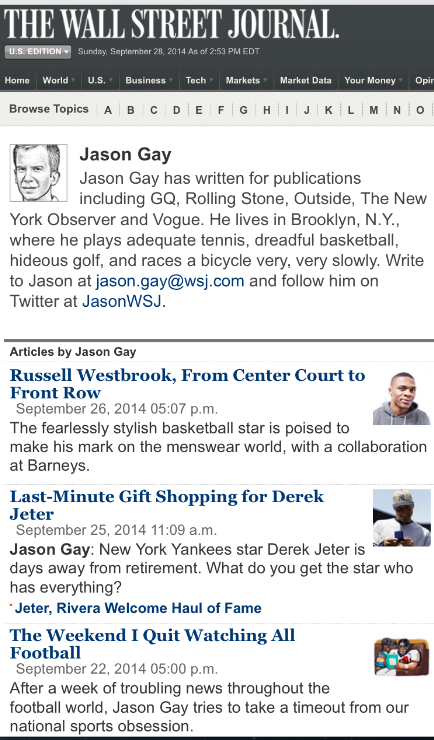 You can read Jason Gay’s Wall Street Journal articles here or follow him on twitter at @JasonWSJ. Throughout the last couple of weeks, multiple NFL players have gotten into trouble. Yes, every year NFL players get into trouble before, during or after the season. But this year, in just the first couple of weeks of the new season, several NFL players have been accused of or arrested for domestic violence. The tape of Ray Rice’s assault of his then fiancé (and current wife) was seen for the first time by the NFL (yeah right), which led to Rice being cut from the Ravens. Unfortunately, his wife dropped the charges against him. Still, Rice has been suspended indefinitely and is now a free agent. Vikings running back Adrian Peterson was put in jail and released on bail for abusing his four-year-old child. At first, the NFL reinstated him, but after powerful negative reactions, mainly by the governor of Minnesota, Peterson was placed on the exempt list and will not be allowed to play until things are figured out. If he’s found guilty of the charges against him, he could serve a maximum of two years in prison. The Panthers defensive lineman Greg Hardy was arrested for assaulting his ex-girlfriend during the summer. Like Peterson, he has been placed on the exempt list. The 49ers defensive lineman Ray McDonald, accused of felony domestic violence, has not been charge with the crime. He has played all three games so far this season and has not missed any practices. Although he hasn’t been formally charged with the crime, it seems that it’s still being investigated. According to the police, Cardinals running back John Dwyer was arrested a few nights ago for domestic assault against his wife and his son. While he has been deactivated, no charges have yet been filed. He will most likely be suspended indefinitely, if not eventually put in jail. The NFL and Roger Goodell have been under a lot of scrutiny for their selective harshness towards certain cases or players and their laid back attitude towards others. Although the NFL has had a lot to do and the media and fans are not happy, team owners remain in support of Goodell. Although the NFL has its policies, not all of them are fair or necessarily fit the crime. I feel that the NFL should create firm guidelines and rules for the following. If you are a first offender to DWI you should pay a $15,000 fine, then a $30,000 fine, then a $60,000 fine. For domestic violence you should be dealt with by law enforcement and suspended indefinitely. For a drug violation you should serve a one-game suspension for the first offense, a two-game suspension for the second offense, a four-game suspension for the third offense, an eight-game suspension for the fourth offense and banned for the season for the fifth offense. If a player is arrested, he should automatically serve a two-game suspension and pay a $15,000 fine. That cannot be tolerated. Any other violation of the law should be dealt with only by law enforcement. The NFL should not have a say in its players’ personal lives based on it thinks, and its rules should be based on laws. As for the continuing trend of NFL players getting into trouble, there is truly nothing the NFL can do to stop it. However, it can make clear guidelines for everyone to follow so that players know what their punishments will be ahead of time. Hopefully the NFL and Goodell will figure out how to deal with this whole mess soon. How do you think the NFL should handle these situations in the future? With the NFL season beginning September 4th, everyone from SI.com to Foxsports.com to ESPN.com is weighing in on what they think will happen during the upcoming season. My predictions are based on what took place this offseason with each team. However, I am taking into account little of last year’s results. I do not believe the San Francisco 49ers will make the playoffs for a multitude of reasons. They lost Aldon Smith for nine games; the aging of Frank Gore and Patrick Willis will hinder their progress as well. Navarro Bowman recovering from an ACL injury won’t help either. In addition, the 49ers lost Carlos Rodgers and Donte Whitner to free agency. The San Diego Chargers will not make the playoffs this season not because of their offense, but because of their depleted defense. Late in the season they always fall apart because their offense is not on the field enough due to the defense’s slacking. As talented as Phillip Rivers is, the Chargers don’t have enough firepower to pull through. The winner of the Super Bowl will be…The New England Patriots! In this day and age, it’s nearly impossible to repeat as champions in the NFL as the Seahawks are attempting to do. The Patriots have one of the best, if not the best, quarterback (Tom Brady), coach (Bill Belichick), and tight end (Rob Gronkowski). With the additions of Darelle Revis and Brandon Browner, the ‘legion of boom’ will be compromised and will not have enough offensive firepower to outlast the Patriots now vaunted defense. Keep in mind they have Vince Wilfork, Rob Ninkovich, Chandler Jones, Donta Hightower, Jerod Mayo in their front seven. It will be an arduous task for anyone to beat this well-oiled machine, if they stay healthy. Think I’m right? Think I’m wrong? Weigh in with your predictions in the comments below.